Nissan is on a mission to transform the way we think about driving, how driving impacts our world, and how to make powering a vehicle more environmentally-friendly. For their technologically advanced efforts, namely its second-life battery systems and Vehicle-to-Grid, the automaker has earned the Excellence in Climate Solutions Award from the International Finance Corp. and Financial Times. Batteries that have powered e-NV200 electric vehicles and the 100% zero-emissions Nissan LEAF are transformed into energy storage units for buildings and homes to create Nissan’s second-life battery systems. The Vehicle-to-Grid system developed my Nissan funnels energy to the electricity grid from energy produced by electric cars. “This can make the grid more stable and sustainable. 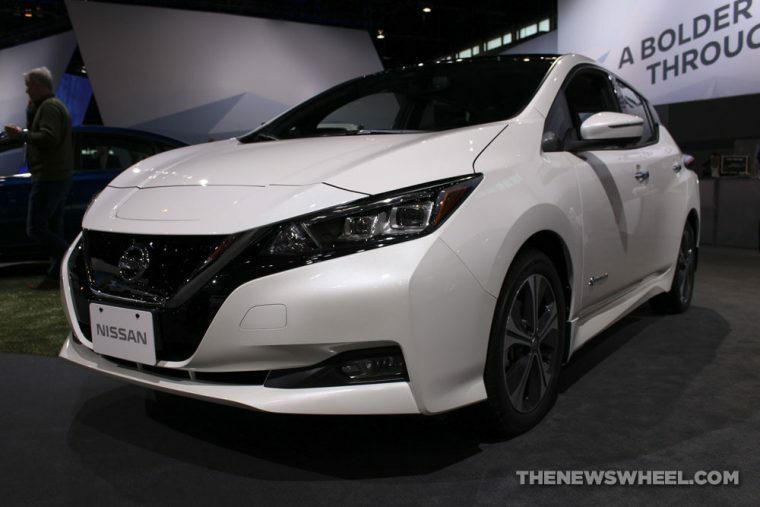 It can also help consumers manage their energy supply,” reports Nissan. The 2018 Nissan LEAF, the bestselling all-electric vehicle from Nissan is available at three trim levels — S, SV, and SL. Each trim is powered by a 110 kW AC synchronous electric motor with 40kWh lithium–ion battery and e-Pedal system to generate 147 horsepower and 236 lb-ft of torque.